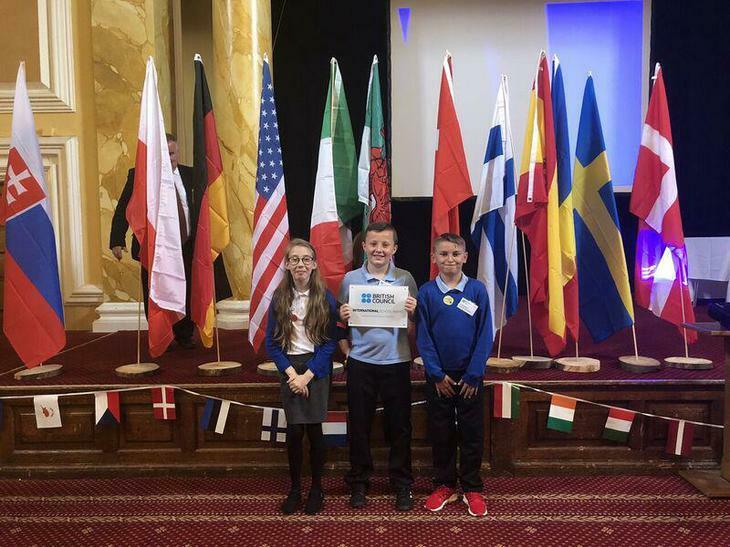 Today 3 pupils represented the school at City Hall, Cardiff to collect the International Schools Award from the British Council. We are one of only 6 schools in the whole of Wales whose work was passed to achieve the award this year! The children heard about what life is like filming wildlife programmes in the Antarctic and learned Samba using Brazilian drums. They received the award in front of an audience of nearly 200 teachers from 12 countries across Europe.